Bad guys who get in Chun-Li's way always end up the same way; in a hospital with multiple kick wounds. That's because Chun-Li's answer to evil doers like M. Bison is to kick some sense into them, and then kick some more sense into them, and then kick some more sense into them, and you get the picture. 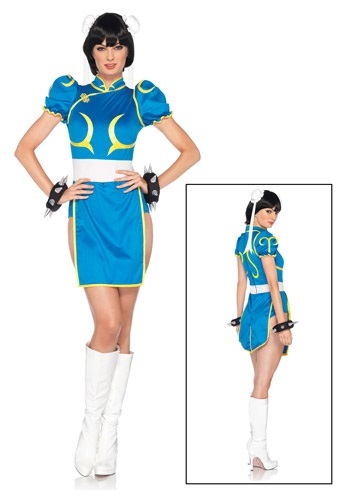 So, if you want to be like the Street Fighter legend, you better have a pretty strong sidekick and her trademark blue and yellow costume. You don't have to feel embarrassed about how you spin around in your living room, shouting, "Shoryuken!" while punching the sky. Honestly, we can't think of a better way to spend your afternoon. 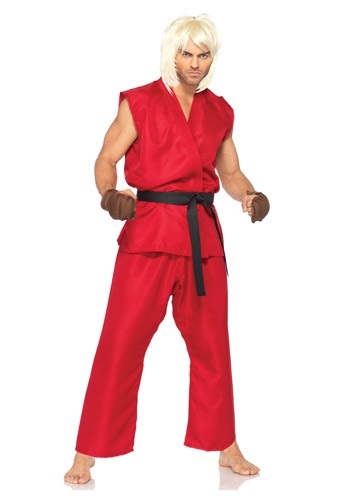 Of course, if you really want to take your Street Fighter training to the next level, you'd better put on the official garb of Ken Masters. We can't actually guarantee that your Shoryuken will become more powerful, but you'll look a lot cooler while practicing it. Channeling your ki energy into your palms for a Hadouken is a lot harder than it looks. We've tried and tried to replicate Ryu's signature move from the Street Fighter series, but to no avail. Then, we realized it's all about the right mindset. To perform his special moves, you really have to think like him. You act like him, and most importantly, you have to look like him. 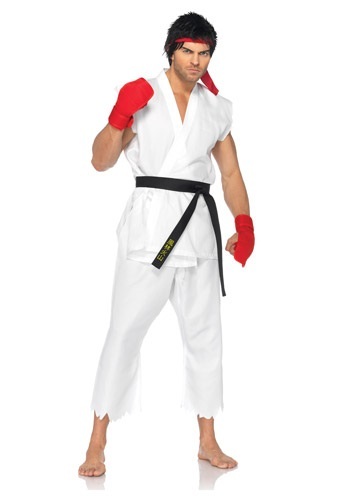 With this tattered gi outfit, you feel like you're ready to step into the ring with M. Bison.